A rare Belgian Dubbel that’ll have you singing, “Mon Cherries Amor”. Mon Cherries Belgian Dubbel from Borealis Fermentery. Outside Duluth, MN is Borealis Fermentery, a small brewery with a penchant for Belgian-style beers. 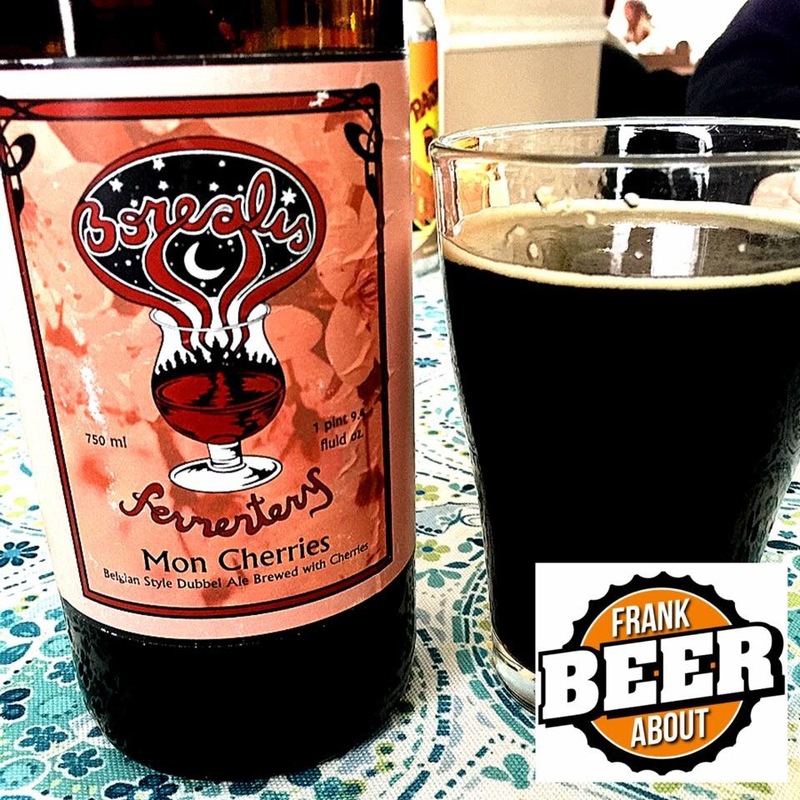 This one is Mon Cherries, a Belgian dubbel that is oak aged and made with cherries. It was brought to us by our dear friend John, who has been aging it for almost a year, and it is delicious. It pours an opaque black, that has a very deep red color at the edges, and is nicely carbonated. You definitely notice a cherry aroma, but the taste isn’t dominated by a cherry flavor. It’s present, but is balanced nicely against the sweet maltiness of the beer. And unlike most Belgian-style beers, this isn’t hoppy or smokey. This is a great sipping beer, and at 10% abv, that’s exactly what you’d want to do. Personally, I think it would be best enjoyed with some quality vanilla ice cream or a thick slab of chocolate cake. You’re unlikely to find this outside of Minnesota, but if you come across it, I’d recommend this to anyone no matter your beer expertise.